I'm proud to say that I've just finished this cushion finally. I started making it years ago and put it aside unfinished. 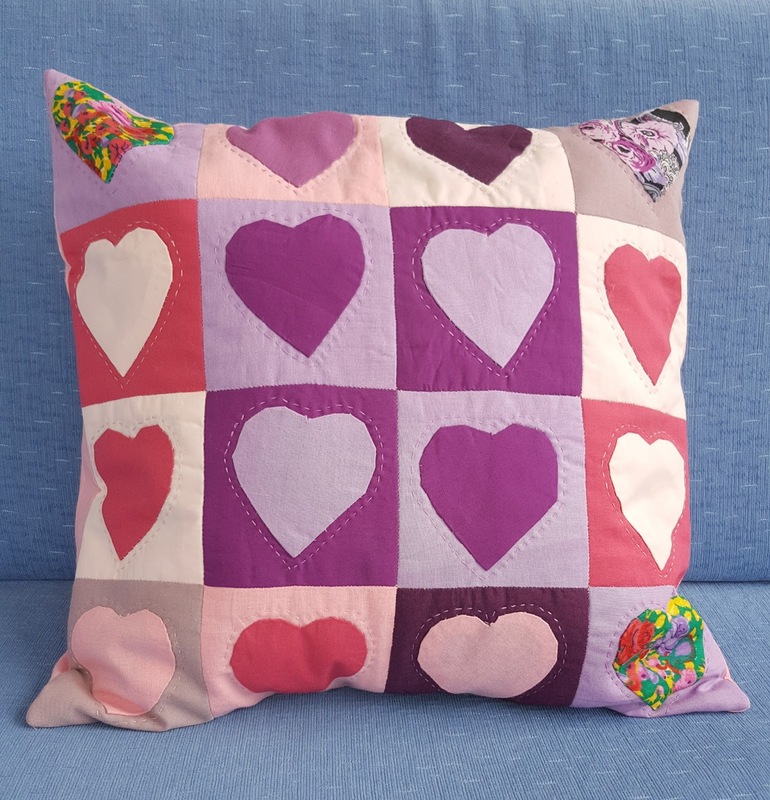 The top was finished and all I had to do was to turn it into a cushion. Now I want to explain how I make such a cushion. 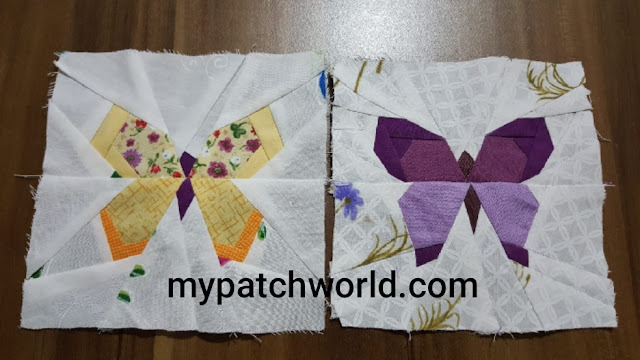 1- Cut 16 squares in different colors you like. Each square is 4x4 inches. 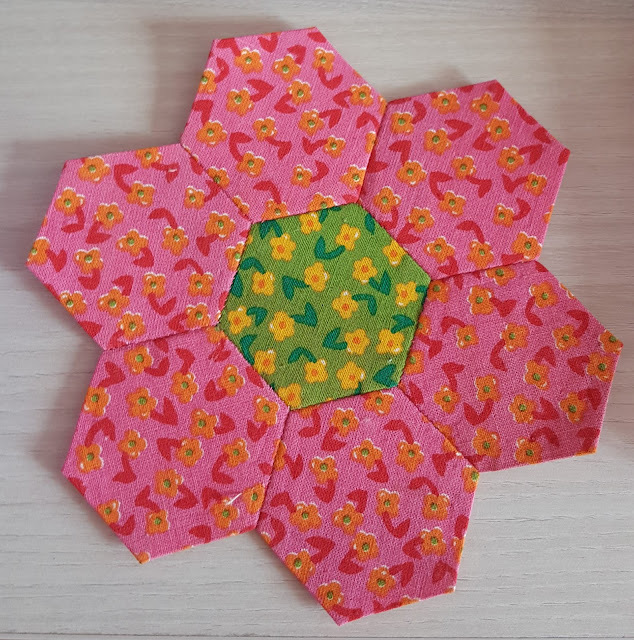 2 - Paper piecing is used for heart pattern. I draw my own shape; you can do as well or find a ready-made one. 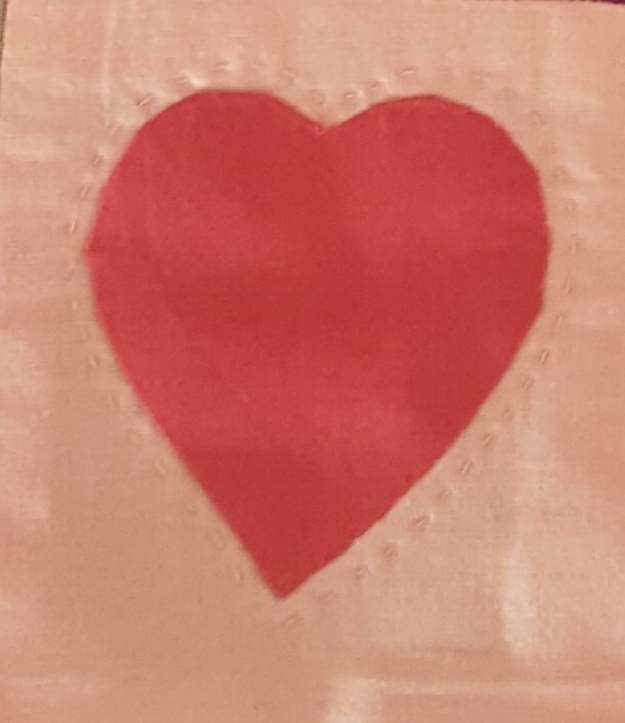 When you have completed your paper pieced heart, score through the stitching with a pin and remove the paper. 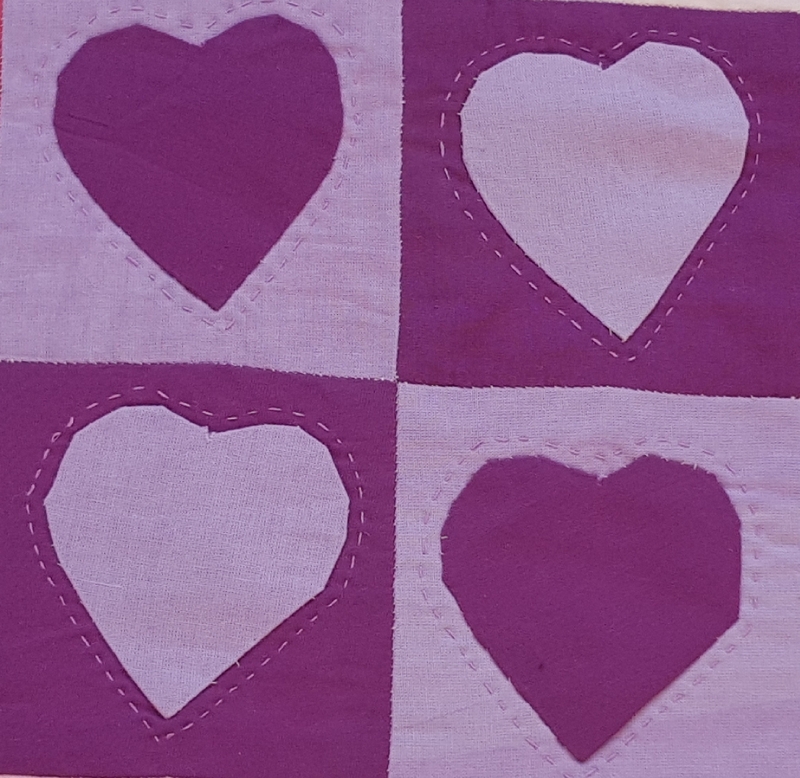 3- Heart shapes are appliqued to each square. Applique is done by hand. 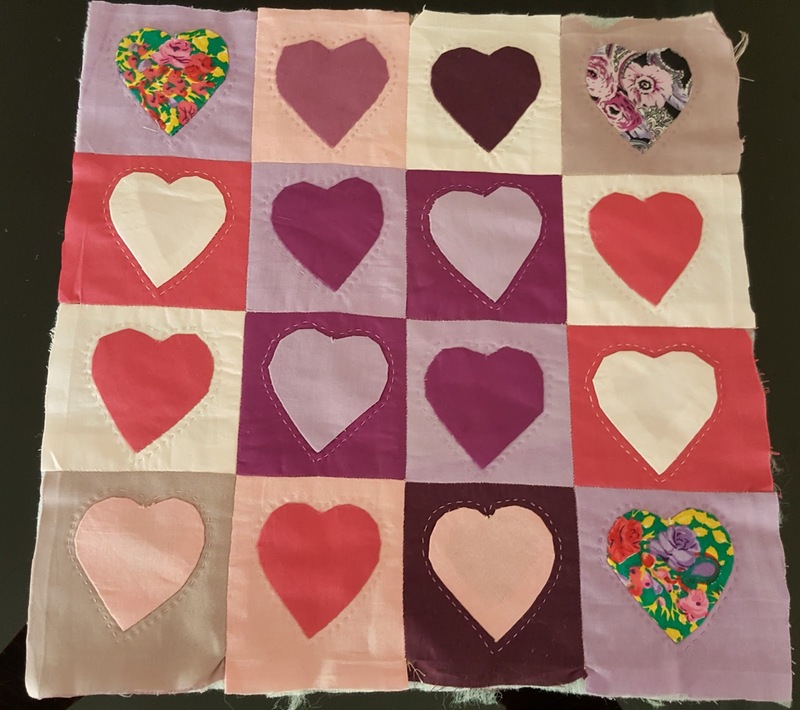 When appliquing is finished, sew the squares by machine and it is ready for quilting. 4 - I've quilted each heart in place and outline stitched using big stitch quilting. 5- Prepare the back cover and sew it by machine. Here is a cute, lovely cushion. It is perfect for home decoration.